I thought I knew that serving, ministry, and most of what I do is not about me. I also thought I knew how to serve others. It turns out, the only person I really think of is myself and I didn’t know nearly as much as I thought I did about doing ministry. 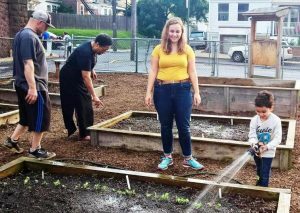 This summer I was given the opportunity to intern for both Whitehall Mennonite Church and Ripple, as well as Ripple’s non-profit, Ripple Community Inc. in Allentown, Pennsylvania. I wanted to gain experience working in a church setting to explore my potential desire and calling to work as a pastor or in some other form of ministry. These churches, located in and outside of Allentown are not your typical Mennonite Churches. Whitehall is a community of relatively few members, about half of which are Karen people from Myanmar, many of them refugees, and many other people who experience poverty or intellectual differences. Ripple, in inner-city Allentown, is also a small community but with a very big impact. Ripple, as a church and non-profit, worships and works with people experiencing homelessness or in extreme poverty. Through my time among these communities I learned a lot and gained helpful experiences. 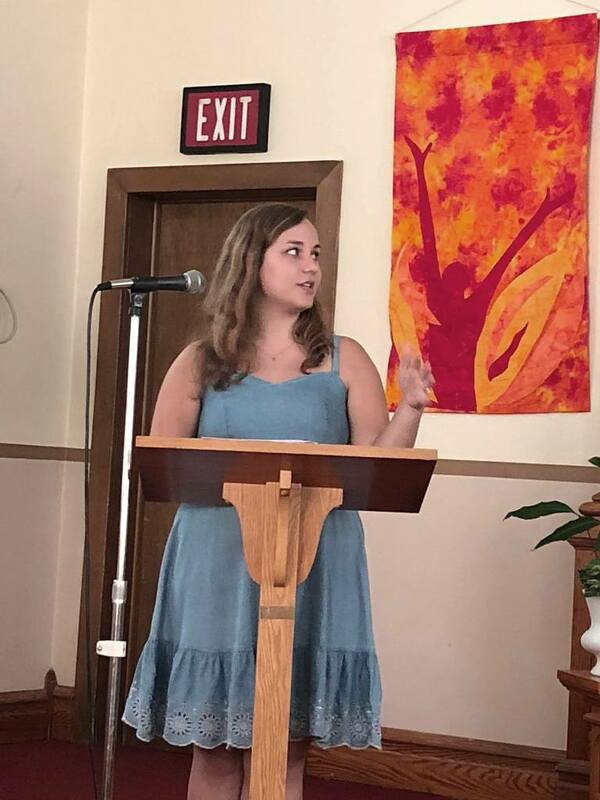 I put together many orders of worship, taught Sunday school, led children’s time, led worship services, got to know people, read many books, worked in a garden and even got to preach my first sermon! Through all this, I was trying to figure out what future God was calling me to. I was also trying to navigate balancing work, family, and friends. This meant that I was primarily thinking about myself. Due to the nature of what ministry is, I found that it’s really easy to be pretty self-centered and not realize it. I’m helping and interacting with people experiencing homelessness and other hard situations … all I’m doing is thinking of others! Yet, amidst my supposedly selfless work the thoughts in my brain were ‘what am I learning?’, ‘am I making someone uncomfortable?’, ‘will I still get home in time?’, ‘is this what I want to do in the future?’, and often ‘what does this person think of me?’ Now, I don’t think these questions are wrong to ask and wonder about. It is often important to be aware of how you’re coming across to another person and to be reflective, especially in ministry with people very different from you. However, these thoughts were using up the mental energy I could have used to care well for those I was encountering. God gave me gifts of empathy and being relational, but I wasn’t able to use them for His glory when I was only thinking of how using them would benefit me! Another thought I often had was ‘How am I serving this person?’ Though that in itself is not necessarily a bad question, I was caught in a serving ‘for’ mentality instead of a serving ‘with’ way of viewing ministry. Though this was something I had heard about, I did not fully understand it until this summer. When we serve ‘for’ other people we might accidentally do it with a ‘better than thou’ attitude. We might not consciously think of ourselves as better than the person we are serving, but it can come across that way to those we help and can even build a savior complex. When I was interacting with people around me with the attitude of ‘how can I help you?’ it put a divide between me and the person: me as the helper, them as the person needing help. It limited the genuine and equal relationship I could have with them. Additionally, nobody wants to be helped by someone who comes charging in without learning about their situation first, without learning how best they could be helped. Thankfully, God did confront me about the way I was going about ministry. At some point I caught myself thinking ‘will this person’s problem make me have to work late?’ and I was horrified. I wanted to stop thinking about myself and truly serve ‘with’ people. However, I had trouble getting myself out of that habit using only my own strength. It wasn’t until I read one of the most popular Bible stories in the Old Testament during a discernment group that I truly understood the selfless heart of ministry. Whitehall had set up a discernment group to pray through and talk about the future of the church. 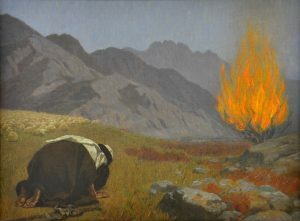 At our second meeting we read through the story of Moses and the Burning Bush in Exodus 3. Though I’ve known this story since I was a little kid, though primarily through the animated classic The Prince of Egypt, I realized something brand new. When Moses responds to God’s call to him in verse 11 with “Who am I that I should go to Pharaoh and bring the Israelites out of Egypt?”, God’s response of “I will be with you” completely ignores Moses’ question. Though God’s response is comforting, He does not acknowledge Moses’ excuse or reassure him by telling him of his gifts or qualifications to lead the Israelites out of Egypt. Instead, God talks about Himself. Moses says “Who am I” and God essentially says that who Moses is, whatever qualifications he does or does not have, is completely irrelevant. God could have called somebody else to save His people! What matters is who God is. This helped me realize that not only should I not be thinking of myself as much, but that it’s just not about me. I wasn’t able to shift my focus onto other people well by myself, but God helped me do so once I finally turned towards Him. Ripple’s annual retreat day at Spruce Lake. Though being involved in ministry is about other people, it is still mainly about bringing glory to God. God is at the heart of ministry. When we keep our gaze on our Father we will be able to better see and love the people He puts in front of us. Learning this allowed me to love and serve my new friends at Whitehall and Ripple better. 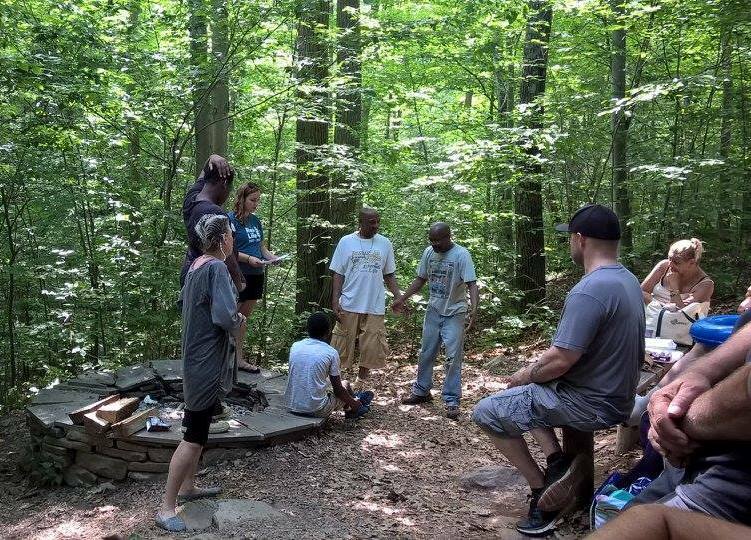 I was able to learn how to serve ‘with’ people, not ‘for’ people, when we focused on God together. Then we could come together to work at their and others’ restoration from a place of mutual understanding and friendship. We could truly serve God together. I hope God never lets me forget that ministry is not about me. 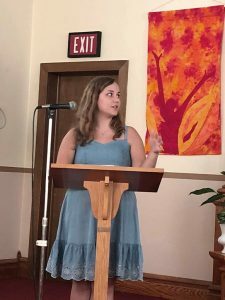 Eszter Bentch is a senior at Wheaton College (Illinois) where she is majoring in Psychology with a minor in Biblical and Theological Studies. In addition to her studies she is an Assistant Resident Director of a dorm and works as a supervisor in Wheaton’s fundraising department, Phonathon. While at college she attends College Church near Wheaton. Her home congregation is Souderton Mennonite Church. 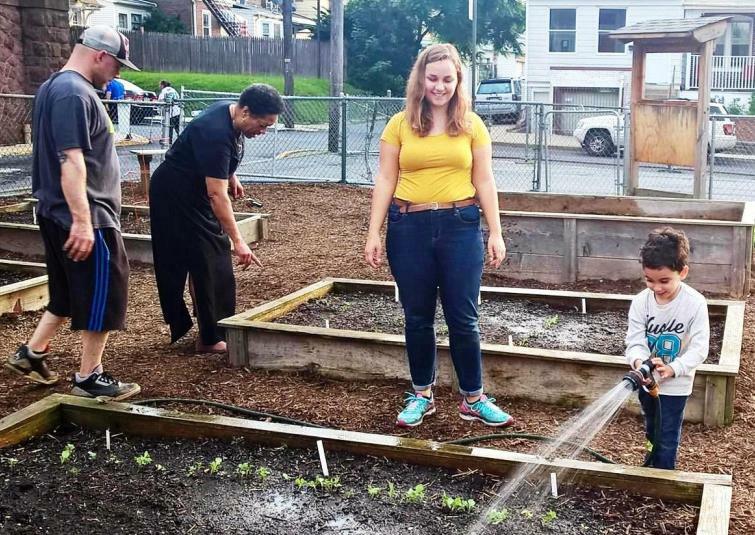 Her internship this summer was made possible through a partnership of Franconia Conference, Souderton Mennonite Church, Whitehall Mennonite Church and Ripple.